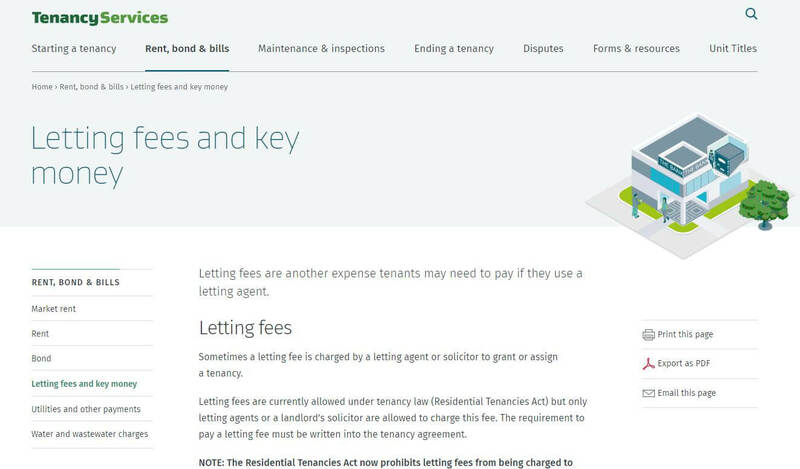 From December 12 2018 it will be unlawful for a property manager to charge a tenant a letting fee. This comes after the Residential Tenancies (Prohibiting Letting Fees) Amendment Bill was given royal assent and became an act. At Rentals.co, we’re responding by removing all clauses about letting fees from our application forms from December 11. Everyone who’s applied for a tenancy with us until that date has been charged a letting fee due to the hard work we do, putting roofs over the heads of trustworthy tenants. Who will now pay for the administration time it takes to match the right tenants to a property? We aim to have our new policy firmly set from the start of 2019. We predict there will eventually be small increases in rent to cover the costs of our services (A letting fee has always been around one week’s rent + GST). This small increase will be the equivalent of a letting fee, spread out over a year, and likely around $8 per week per property (The total fee is expected to be the equivalent of one week’s rent). Will everyone’s costs go up right away? 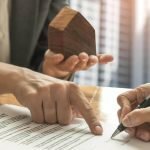 No – the new law applies to tenancy agreements created after December 12 2018. 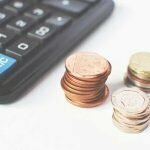 What do property investment experts think about the ban on letting fees? The NZ Property Investors Federation (NZPIF) agrees the ban on letting fees will have flow-on effects which aren’t entirely in the best interests of tenants or landlords. NZPIF head Andrew King put out a media release saying MBIE officials told the government in their regulatory impact statement there was a risk that landlords would pass the cost of the fee onto tenants through higher rental prices; officials advised that if this occurred, the likely increase in rent would be $9-$10 per week. Given the average tenancy is around two years, this would mean tenants actually end up paying more than the original cost of the letting fee, NZPIF noted. The Property Investors’ Federation recommended in their submission that whoever received the benefit of the property manager’s service should be the one who paid the letting fee. If an owner used the property manager to find them a new tenant, then the owner should pay. If market conditions meant it was difficult to find a tenant, the owner should pay. NZPIF also said if market conditions meant that it was difficult for tenants to find suitable rental accommodation, then tenants should pay. 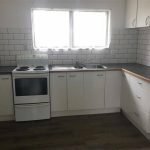 What kind of administration is required to put a tenant into a rental home? Letting services have always incurred a cost because there are administration, background checks, credit checks, and staff costs in matching the right tenants to a property. Rentals.co does its best to streamline everything and we rely on TenantCheck software to help. Property managers already endure many of the costs associated with listing a property, for example listings fees for TradeMe and Realestate.co.nz. Luckily, however, Rentals.co’s online presence makes up for that with wide-reaching internet strategy. A Tenancy.co.nz survey of property managers found 70% would charge the owner a letting fee instead, 12% said they would increase their management fee and 18% said they would charge the landlord half a week letting fee and a slightly increased management fee. It’s a shame, because consider it from the applicant’s perspective: paying a letting fee is paying for great service. It’s paying to establish a relationship of trust and buy-in with a property manager. National and Act, who opposed the bill, said it would see higher rents in the long-term and may force some landlords to pull out of the residential rental market entirely. The only silver lining may be that the team at Rentals.co has an opportunity to have a fresh discussion with the landlords we care about and talk about ways to increase the value of each property, including developing the property then selling.